2017 marked a major transition for the pro AV industry. An evolving ethos finally reached critical mass: InfoComm became AVIXA, and the shift from a technology-centric industry to one focused on the user experience was solidified. Now, talk of “experience” seems to permeate every conversation; making sure clients get the most out of their technology has never been so vital. But what about technology integrators themselves? There’s a critical component to the realization of their mission that unfortunately tends to go unrecognized: service. At SCN, we make it part of our annual mission to ensure these behind-the-scenes efforts—from project management, to tech support, to training programs—receive the credit they deserve for their contribution to the creation of successful user experiences, as well as to the everyday experience of the men and women that work to bring those about. We welcome entries from both manufacturers and distributors in each category. To submit an entry, click here. A $250 fee is required for entry to each category, and companies can enter into the running for as many categories as desired. 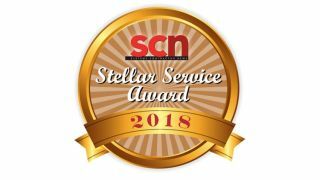 After nominations close on February 23, voting by SCN readers will take place online and will be further vetted by a panel of integrators and consultants. Winners will be announced in the SCN Spring Special Service Edition in April 2018.